The public have been urged to engage with developers designing a new 4,000-home extension to Daventry. Leaflets, posters, exhibitions, and a website are all on the cards for the coming weeks as developers Davidsons plus Barratt and David Wilson Homes, along with planners Pegasus, draw up their designs for the ‘Daventry North East Sustainable Urban Extension’. On Tuesday night this week the team behind the project presented their work so far to Daventry Town Council. The site lies along the B4036 between Daventry and the A5 Long Buckby crossroads. The district council’s plan says the site must provide 4,000 new homes, primary schools, a site for a secondary school, better links to the town centre, Southbrook, and to Long Buckby Station, an extension to Daventry Country Park, and that a corridor of land must be left to provide space for the canal arm. Key points are that the A5 junction could be replaced by a roundabout, the developers are seeking to bury the overhead power lines across their site and continue them underground up to the Norton Road substation, and the new development will include two ‘local centres’ with shops and other facilities. One of these centres is to be positioned close to the Norton Road end of the site to benefit the existing homes in the area. Sue Mann from Pegasus told the meeting: “We haven’t come with a plan saying ‘this is it’, but rather this is what we’re thinking, what do you think? Later in October the planning team will send out 6,000 leaflets to the nearby homes. There will be public exhibitions in November in Daventry, and a website. All of these will give people a chance to feed back ideas, potential problems, or suggestions. The public exhibitions will take place at Daventry Library on November 11 from 2.30pm to 7.30pm, and on November 12 from 9am to 1pm. Mini-exhibitions will be held in Norton and Welton for their residents – the parish councils will distribute the details. 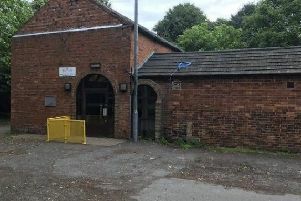 The results will be looked at and then presented in December to a workshop comprised to councillors from Welton, Norton, Daventry, DDC and the county council. The firm says if all goes well an outline planning application covering the masterplan for the whole site will be lodged in January 2017 with further consultation by Daventry District Council before a decision is made in the autumn. Planning applications for the design and layout of homes would start to be made in early 2018, and if all goes in the developers’ favour, work could start on site by the end of 2018 with the first homes completed in 2019.